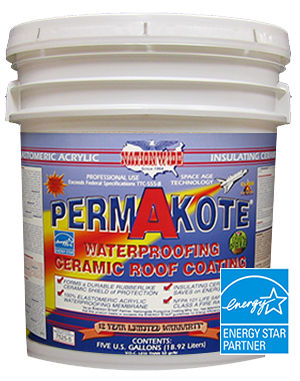 PERMAKOTE PLUS® is a superior flat roof coating for unsurpassed quality and performance for most non-sloping well draining roof surfaces. 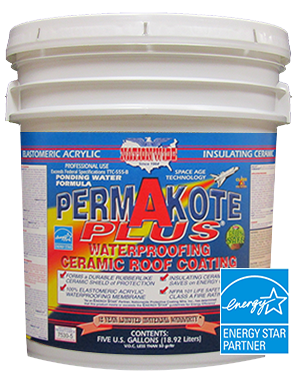 An ELASTOMERIC waterproofing, insulating ceramic, protective roof coating system for flat and/or sloped roofing applications. Class A Fire Rating as per National Fire Protection Association NFPA 101 Life Safety Code (ASTM E 84-01). Fire retardant and corrosion resistance. 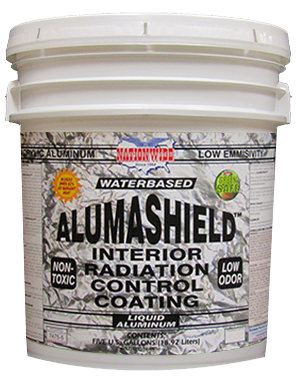 Excellent waterproofing, insulating, soundproofing and mildew resistance. Protects and beautifies. Pastel and tint base colors available. Must be used with PERMABOND™ or METAL-PRIME RED-OX™ for warranty. 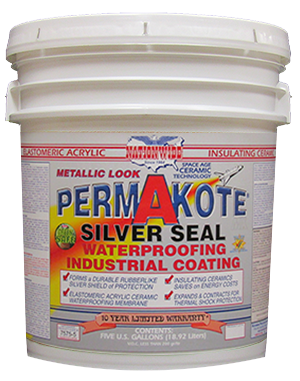 For most flat and/or sloped well draining roofing surfaces. 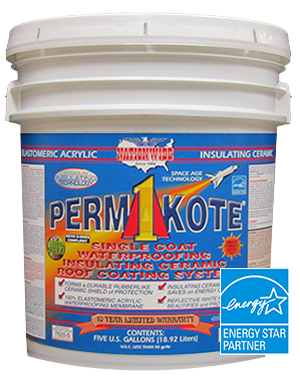 For limited ponding water areas use PERMAKOTE® SUPER PLUS.